Sarah's Solutions is proud to work alongside industry leaders in New Zealand. Workforce literacy is one of the key skill shortages facing the New Zealand economy. Without good levels of literacy and numeracy in the workforce, New Zealand will struggle to achieve the standards of living we all aspire to. Poor literacy levels also make it difficult for individuals to provide for their families, or to find and keep satisfying work. Literacy training also provides personal and professional benefits for employees. The team at Sarah's Solutions are equipped to deliver Literacy, Numeracy and Communication Training to any industry and to businesses of any size. Every training programme is unique and is designed and developed to meet individual customer requirements. Training is provided at no cost to the customer and is funded by TEC as part of New Zealand's focus on increasing literacy and numeracy capabilities in the workforce. Designed for large public or private companies, focus is on conflict management, communication, literacy, numeracy, relationships. Delivered on-site using existing training room facilities to minimise staff disruption. 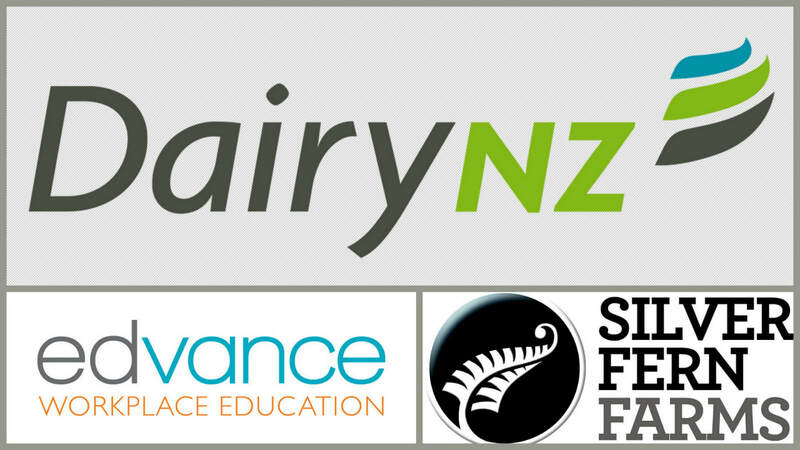 Designed for small to medium New Zealand businesses, focus is on literacy, communication, relationships, numeracy. Delivered on-site using existing rooms (staff room, hotel lounge, meeting room) to minimise staff disruption. Designed for the farming industry, focus is on literacy, numeracy, health & safety, compliance. Delivered on-site (shared multi-farm facilities, staff room) or off-site if preferred. Designed specifically for management personnel, focus is on leadership, relationships, motivation, empowerment. Designed to help unemployed to become work-ready, reduce barriers, increase confidence, facilitate transition into workplace. Delivered in off-site training rooms specifically designed to feel-safe and to increase participation and motivation. The OECD survey results revealed that large numbers of New Zealanders had low literacy levels and they linked gender, age, ethnicity, first language, level of educational qualifications and labour force status as contributors to the situation. The survey reported that there is a hard-core of youth who are at high risk of poor labour market outcomes and social exclusion (including eleven percent of NEET youth, with high percentages of Māori and Pacific young people). Current New Zealand policies make it difficult to reach disengaged youth and there are not enough youth in vocation education and training tertiary institutions to provide the requisite skills. It is often more difficult for a learner to concentrate and to believe in their capabilities when they are experiencing a difficult family life, have been previously kicked out of school, been fired or made redundant from work, or been subject to addiction and abuse. Being aware of different cultures and making learners feel comfortable is an important part of the teaching process. Once trust is established, the process of learning can begin. From an individual perspective, successful learning has an impact on self-esteem, motivation, relationships and opportunities. High literacy is also associated with better health outcomes, for example, increased longevity and healthier habits and life styles.In addition, literacy skills influence positively the probability of being in a white-collar high-skilled position and negatively the probability of being unemployed or in a blue-collar position. Globalisation, technological change and organisational development are shaping both the supply of, and the demand for higher levels of literacy skills in the information age. Literacy not only enhances career prospects, but also reduces the chance of being unemployed. Societies consider high levels of literacy to be desirable to sustain widespread participation in economic, social, cultural, and political life. Literacy is important for communication and making informed decisions. It is a necessary ingredient for citizenship, community participation and a sense of belonging. Literacy is also a tool for efficient learning, particularly self-directed learning of the sort that is enabled by information and communication technologies.